Tonight I felt like a burger, so we tried a new hamburger place on 2nd Street called L.A. Buns. We walked through the door and Mike welcomed us like we were old friends. The menu is small, so ordering was easy. 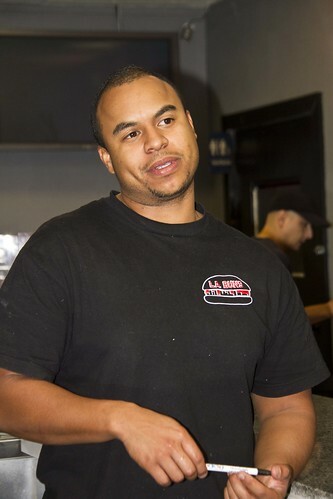 I had the LAX burger—I have to say it was a great burger. Everything is fresh. 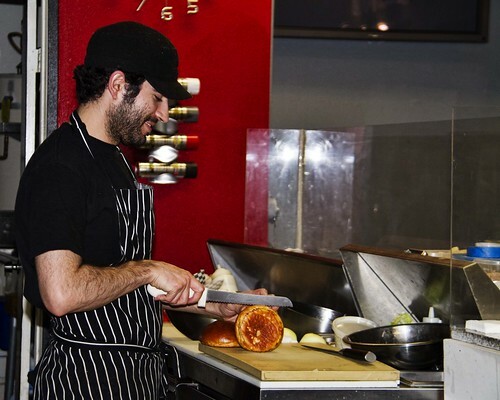 They even grind their own meat, according to Josh (cook and co-owner). One of the differences you'll notice right away is that the buns are different. They use French brioche. There is something about the texture that was kind of amazing...you just gotta try it! It was a treat to find a unique new eatery so close to home. 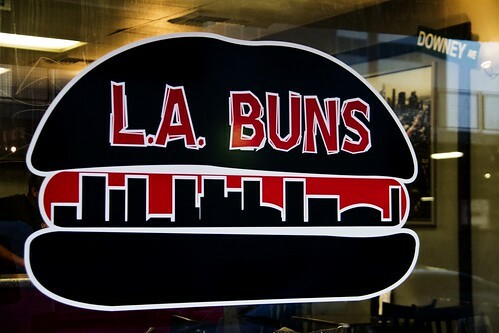 Now we can tell people that Downey has the best buns in LA!